There are hundreds of thousands of job hunters globally who are eager to work for you or to find work through you. Are you planning on starting a job agency? 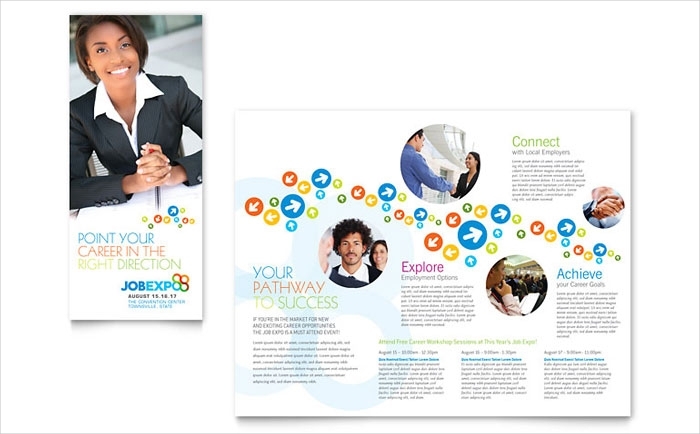 Persuade more people to partner with you through convincing brochures to hand out to them. It can be used during expos or it can be left in your office. There are templates that you can use online to minimize the time you spend in making the brochures. 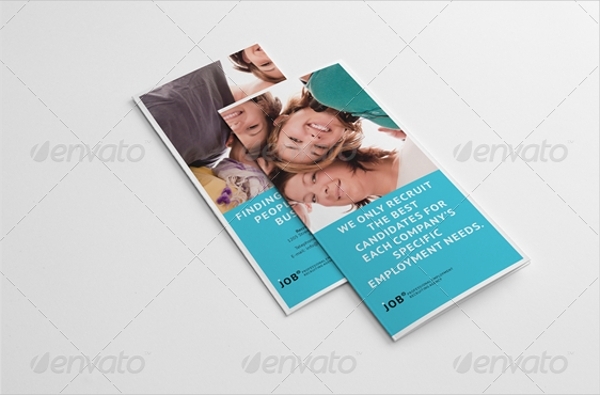 These Printable Brochures samples will be of different designs which will fit the kind of brochure you want. Download now to start making your own. 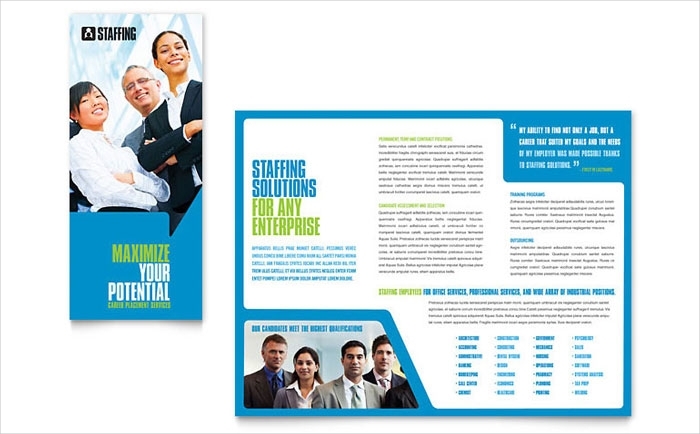 What is your intention of making a job brochure? This question should be answered first before you even start customizing Brochure Templates. 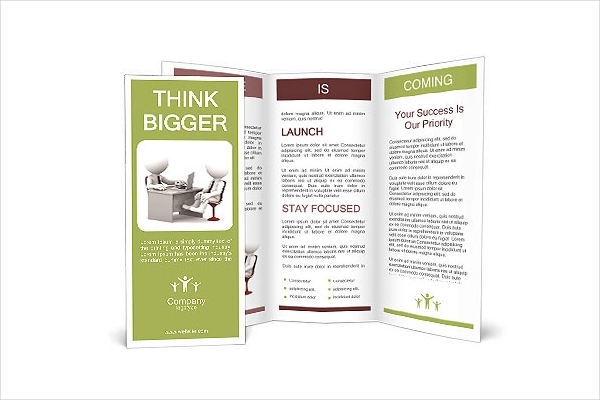 Knowing your goal will help you find which template you want to use for your brochures. After that, you can then start writing the content which is listed down below. What kind of job agency are you? Define who you are and what you do. Write a basic background of your agency and write down the necessary information that proves your authenticity. This is important to guarantee prospect employees that you are a legit recruitment place. Site places where you have sent your people, in average how many were you able to get employed, and the likes. Statistics will be your most reliable source for this matter. What kind of jobs do you usually offer? Write down the types of jobs you are looking for. Are you looking for a blue-collared job, white, and other classifications? Applicants will easily be able to identify if they will qualify for the jobs you are going to offer. You don’t have to list everything you offer the basic gist will be enough for readers. How to contact you? Lastly, don’t forget to write how you can be reached by applicants. Include all your contact details and social media sites. 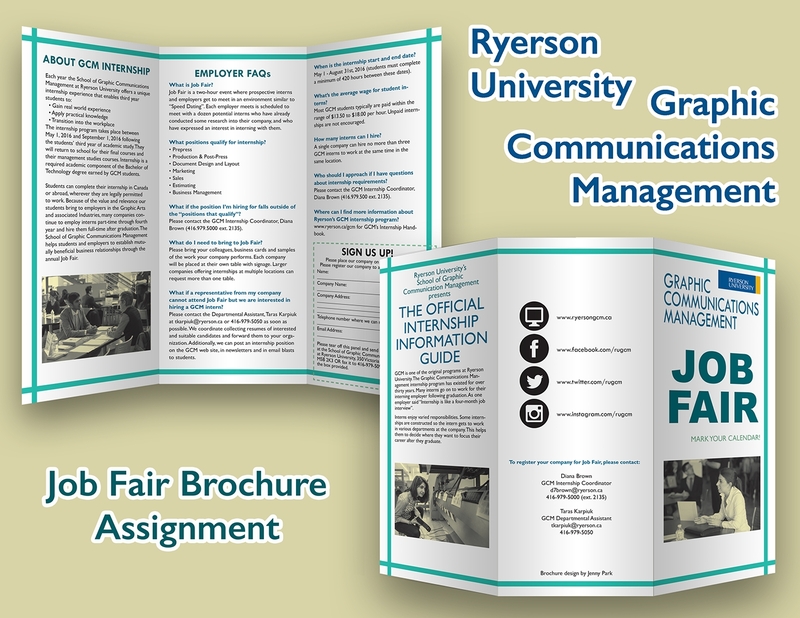 Did you ever ask yourself which brochures are more suitable to give away during job symposiums and fairs? Given that not all recipients of the brochures will take interest in what you have to show them, do you think a colored brochure is worth the extra expense? In some ways, it is worth the money you spend. It makes you look credible to whoever you give it too and the brochures would look more professional. Aside from that, colored brochures will also look more inviting to read rather than the black and white ones. The only downside of it, though, is that colored brochures are pricier in comparison to the black and white. On the other hand, black and white brochures are also advantageous mostly because they do not cost as much as colored brochures. You can have them printed in rush and the quality is still closely the same. Aside from that, black and white brochures are not bad at all because you won’t need to be very particular on the details of the design. It is a very basic design but still looks elegant nevertheless, just like some education brochures or property brochures. 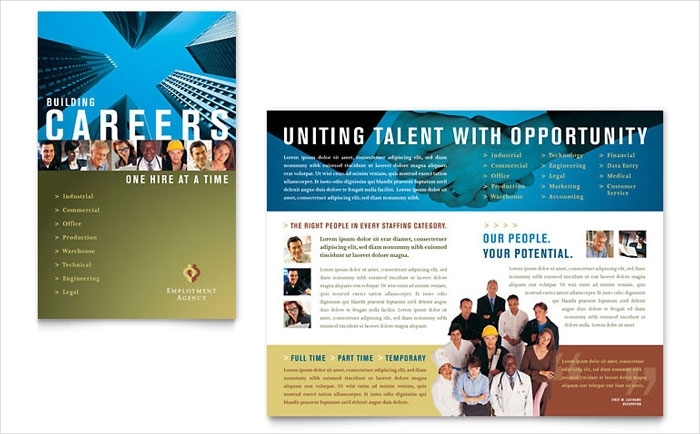 Choose your the type of print you like and start distributing professional-looking brochures.